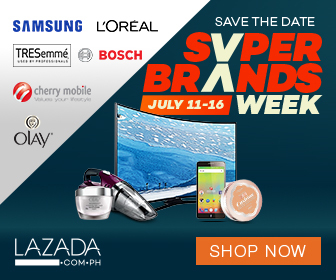 Lazada's Super Brands Week is finally here! Check out below the Flash Sale Schedule for July 12 (Wednesday). Catch these exclusive deals and discounts from your favorite brands for a limited time only! Hurry and get the biggest savings before it ends! And of course, Lazada's all-time-bestsellers!